After 18 years of development in secret as the successor to the venerable Traction Avant, the DS 19 was introduced on 5 October 1955 at the Paris Motor Show. The car's appearance and innovative engineering captured the imagination of the public and the automobile industry almost overnight. In the first 15 minutes of the show 743 orders were taken, and orders for the first day totalled 12,000. Far from being just a fascinating technology in search of a purpose, contemporary journalists were effusive in noting how the DS dramatically pushed the envelope in the ride vs. handling compromise possible in a motor vehicle. To a France still deep in reconstruction after the devastation of World War II, and also building its identity in the post-colonial world, the DS motor car was a symbol of French ingenuity. It defied virtually every automotive design convention of that era. It also posited the nation's relevance in the Space Age, during the global race for technology of the Cold War. Structuralist philosopher Roland Barthes, in an essay about the car, said that it looked as if it had "fallen from the sky". The high price tag, however, hurt general sales in a country still recovering from World War II, and a cheaper submodel, the Citroën ID, was introduced in 1957. The ID shared the DS's body but was more traditional mechanically: it had no power steering and had conventional transmission and clutch instead of the DS's hydraulically controlled set-up. A station wagon variant, the ID Break, was introduced in 1958. Outside of France, the car's radical and cosmopolitan design appealed to non-conformists. An American advertisement summarised this selling point: "It takes a special person to drive a special car". 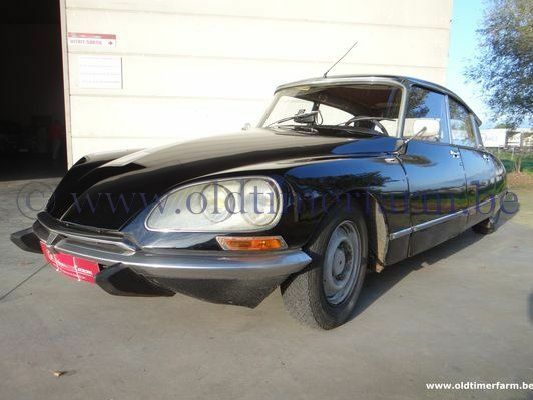 The DS was historically significant for many reasons, one being that it was the first mass production car with front power disc brakes also featured hydropneumatic suspension including an automatic levelling system and variable ground clearance, power steering and a semi-automatic transmission, and a fibreglass roof which reduced weight transfer. Inboard front brakes (as well as independent suspension) reduced unsprung weight. Different front and rear track widths and tyre sizes reduced the understeer typical of front-engined and front-wheel drive cars. 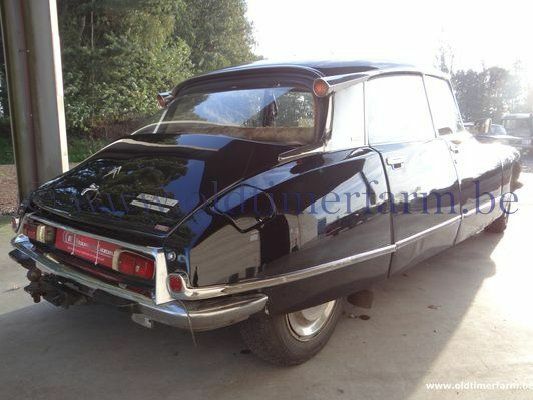 As with all French cars, the DS design was affected by the tax horsepower system, which effectively mandated very small engines. Unlike the Traction Avant predecessor, there was no top-of-range model with a powerful six cylinder engine. Despite the rather leisurely acceleration afforded by its small four-cylinder engine, the DS was successful in motorsports like rallying, where sustained speeds on poor surfaces are paramount, and won the Monte Carlo Rally in 1959 and 1966. The DS placed fifth on Automobile Magazine "100 Coolest Cars" listing in 2005. It was also named the most beautiful car of all time by Classic & Sports Car magazine after a poll of 20 world-renowned car designers, including Giorgetto Giugiaro, Ian Callum, Roy Axe, Paul Bracq, and Leonardo Fioravanti. In conventional cars, hydraulics are only used in brakes and power steering. In the DS they were also used for the suspension, clutch and transmission, although the later ID19 did have manual steering and a simplified power braking system. At a time when few passenger vehicles had independent suspension on all wheels, the application of the hydraulic system to the car's suspension system to provide a self-levelling system was an innovative move. This suspension allowed the car to achieve sharp handling combined with very high ride quality, frequently compared to a "magic carpet". The system used – hydropneumatic suspension – was pioneered the year before, on the rear of another car from Citroën, the top of range Traction Avant 15CV-H.